Breastfeeding is the biologically normal way to feed a baby. Less breastfeeding is associated with poorer health of babies who are at higher risk of serious infections, poorer development and sudden infant death. 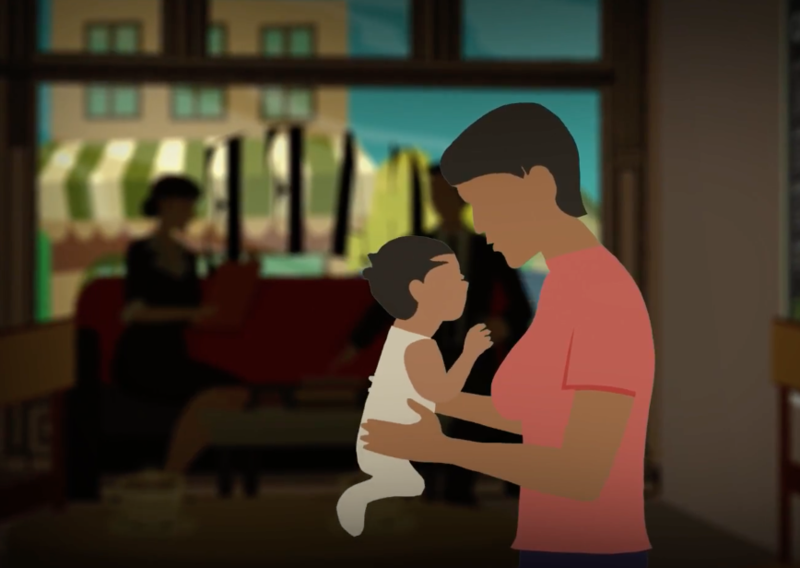 It can be hard to understand why this is the case so the content here aims to help you learn about how breastfeeding makes a difference. What’s in breastmilk? Breastmilk contains all the essential nutrients for growth: carbohydrates, protein, vitamins and minerals and water. These are all provided in a simple form that is easily and gently absorbed by your baby’s digestive system. Breastmilk is a living fluid. Breastmilk is packed full of antibodies, hormones, and other components which together help baby to grow, develop and fight off illness. Although formula milk is nutritionally adequate for babies, there are many elements of breast milk that cannot be replicated in formula milk. Click on the tool below to learn about just a few of the fascinating components of breastmilk. Even though some formula companies claim that their milk is closest to breastmilk, none of the components shown below can be replicated in formula milk. These help with absorption of essential nutrients. An example is lactoferrin which binds to the iron in breastmilk. This helps the baby’s body to absorb the iron, and prevents infection as it stops bacteria from feeding on it. This also means the iron in breastmilk is more easily available for your baby. This promotes the growth of lactobacillus bifidus. These are “friendly bacteria” which create an acidic environment to kill harmful bacteria. Several different kinds of growth factors help your baby’s digestive system to grow and mature. These are especially high in the breastmilk of mothers who give birth to preterm babies – showing how breastmilk is different depending on your baby’s needs. There is also a theory that growth factors contribute to ‘early life programming’ setting up baby’s health for life. Enzymes contained in breastmilk aid digestion, and some, such as lysozyme, destroy bacteria such as E. coli and Salmonella. Human milk enzymes are unique to human milk. Several hormones are transferred in breastmilk, including oxytocin, which makes you feel relaxed and promotes feelings of love and sleep. These are immature cells which are programmed to turn into many different types of cell that the body needs. Stem cells are being used and researched to help treat serious long term conditions including some cancers, spinal injuries and Parkinson’s disease. These ‘prebiotics’ are complex carbohydrates which cannot be digested by our own bodies but feed a type of ‘friendly’ bacteria in our guts called Bifidobacterium longum infantis, which helps to protect the baby’s gut from allowing other microbes to seep out into the bloodstream. Breastmilk contains over 200 types of unique prebiotic, and they vary from mother to mother and day to day, depending on what the baby needs. These are essential for supporting your baby’s immune system. Antibodies in breastmilk help to protect the baby against infection. White cells fight against infections by engulfing and destroying bacteria. Tiny viral fragments trigger the baby’s own immune system to develop. Breastmilk is a changing liquid that responds to your baby’s needs. When your baby is born, their immune system is not well developed which leaves them vulnerable to serious infection. As a breastfeeding mother your own immune system will help protect your baby from germs in your environment. This protection lasts for as long as you feed your baby, and helps build their immune system for life. Watch the animation to see this in action. Colostrum is the thick yellow-ish milk which your body will produce for the first few days of your baby’s life. Colostrum is a very concentrated form of the anti-infective and anti-viral properties of breastmilk. It gives baby immediate protection against illness and helps the baby’s digestive system get started. You might notice you only produce very small amounts of colostrum. This is fine because baby’s tummy is tiny. You will produce as much as your baby needs over the first few days, so long as you tell your body you need it, either by having baby feeding at the breast or expressing the colostrum from the breast if baby is not able to feed.